The Mermaid's Tale: Open access -- its time has come? The rumbling about open access to scientific publications is getting louder. If you've been out of earshot, here's a brief run-down of some of the recent major events. 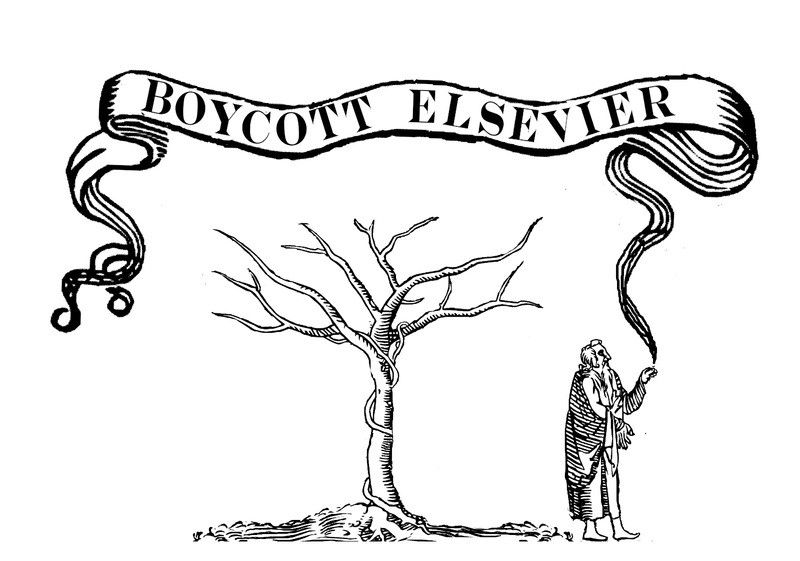 A boycott of academic publisher Elsevier began 6 months ago when British mathematician Tim Gower issued a 'call to action' to urge academics to refuse to submit to or review for any Elsevier journal. He explained in his call to action why he decided to go public with his anger over the exorbitant profits Elsevier and others are making from his free labor. To date, 12,000 scientists have joined the boycott. You too can add your name to the list. The fundamental issue has to do with open access to the results of scientific research, particularly research funded by public money. Gower's specific objections are that major academic publishers charge usurious prices for subscriptions to single journals, often $1000 or more, that libraries have to buy large bundles of journals, many of which they don't want, in order to get the major journals that an academic library can't do without, and that Elsevier supports attempts to restrict free exchange of information. So, you pay for the research with your taxes, and that includes fees the libraries (and the researchers) pay (again with your taxes) for their subscriptions. That's double-dipping! Three major publishing houses, Elsevier, Springer and Wiley, produce the bulk of the more than 20,000 academic journals published worldwide, and over 40% of the journal articles that appear each year. This is big business, with a profit margin of 35% or more, according to numerous sources (here or here, e.g. ), worth on the order of $12 billion a year. This profit, more and more academics are coming to feel, depends too heavily on their free labor. Publishers pay academics nothing to write the papers published in these journals and nothing to review the work that their peers submit, nor come to that, do academics get paid for the work they do to review and screen the grant applications in the first place. Peer review is the process that is meant to ensure high quality contributions to journals, though it's the highest tier -- and most lucrative -- journals that can get the most well-known academics to do the reviews, and they might be asked to review hundreds of papers a year. Journal subscriptions already can be prohibitively expensive, and even access to a single paper can cost $30 or more. Yes, publishing costs money, and if authors and reviewers were paid it would cost even more, but when the work has been funded by public money, and the writing and reviewing is free to the publisher, and then the results sequestered behind a paywall, given the increasingly organized protests, the system is looking more and more unsustainable. Open access isn't a new issue, of course. PLoS (Public Library of Science) has been publishing open access journals since 2008, and they quickly became well-respected -- high impact -- places to publish. One of the journals, PLoS One, will publish essentially anything that is well-written, presents a study done with acceptable methods and that hasn't been published previously; it's the reviewers job to ensure that a paper meets these criteria. As a result, PLoS One does publish some lesser work, but they also publish some very fine work -- presumably by well-funded researchers who don't want to deal with the hassle and delays of the review system, and its arbitrary nature, or who just want to circumvent the private-gain system. Someone's got to pay for these journals, either authors or readers: PLoS is a non-profit publisher but they do charge to publish (hmm, where does that money come from? ), though to be fair they will waive the fee if necessary. The other PLoS journals have more stringent standards for publication. ArXiv is an early adopter of e-print service, online since 1991. It's a database maintained at Cornell that publishes and provides open access to physics, mathematics and statistics papers, and hosts probably every physics paper published in the last 2 decades. Open access is old hat to people in the hard sciences. More recently, a petition from the White House to require open Internet access to taxpayer-funded research reached the magic number of 25,000 signatures and so the idea that publications of publicly funded research results must be freely available online is now officially in play in the upper echelons of government. Here's evolutionary biologist and co-founder of PLoS, Michael Eisen's reasoning on this issue. The National Institutes of Health enacted public access policies requiring that scientists who are publishing results of NIH funded research to submit final peer-reviewed journal manuscripts to a publically accessible digital archive (PubMed Central) upon acceptance for publication. There are currently 2.4 million articles in the archive, and journals can choose to be full participants but most do not or only selectively deposit. The library, and Faculty Advisory Council, of at least one major university, Harvard, are urging their faculty to submit their work to open access journals, primarily because journals have become prohibitively expensive and this is a way to chip away at the status quo. Further alternatives to the traditional publishing model are beginning to appear, as Reuters reported on June 12. One is called PeerJ, the founders of which come from PLoS and the research database, Mendeley. Their website has just come on line. PeerJ provides academics with two Open Access publication venues: PeerJ (a peer-reviewed academic journal) and PeerJ PrePrints (a 'pre-print server'). Both are focused on the Biological and Medical Sciences, and together they provide an integrated solution for your publishing needs. Submissions open late Summer. They offer a 3-tier subscription scheme; until September for $99 you purchase a lifetime right to publish a single paper a year in their journals and to freely access any of the papers they publish; for $169 you can publish 2 papers a year and for $259 your publication rights are unlimited. The fees will go up some at the end of the summer. The founders hope to hit the ground running, publishing significant papers by well-established researchers immediately. As in PLoS One, papers will be reviewed for scientific validity, not potential impact. Another open access journal about to come online, eLife, is a joint collaboration of the Howard Hughes Institutes, Wellcome Trust and the Max Planck Institute. They also hope to be a high-impact journal right off the bat. Because of the well-heeled backers publication is going to be free, at least initially. Of course, not everyone is a fan of open access, and it's not just the journals that stand to lose who are against it. Opponents say it's anti-free market, expensive for authors rather than libraries and thus it disadvantages those without grants, as well as scientists in poorer countries, peer review will be scarified and quality will be scarified, or it's just too big of a change, after 350 years of publishing science this way. After all, it is also true that until recently there was no way to get your work known to any kind of broad audience other than publishing on paper, individual and library subscriptions. Even then it took a long time to get the peer review done and the paper in print. Without centuries of such publication there would hardly be any scientific establishment and much slower progress! Indeed, everybody has to earn a living, and that includes people who work for Elsevier. And our pension plans are based on stock which means on profits. It is not surprising that the status journals work hard to preserve their market-share. Nor can we be blamed for succumbing to this aspect of the status system, given how rewards are doled out in academia. Just because publishers are people with kids to feed, and because they were the only, and an effective, way to disseminate information that made widespread access possible, doesn't mean things can't or shouldn't change. After all, think of the scribes in monasteries whose work on scrolls and tablets was undermined by Gutenberg and the disrespectful paper inkers. They had families, too -- well, the Church was their family. Directly or otherwise, publishers play on your fears: that if you don't publish in their expensive high-visiblity journals, you won't get tenure or a grant. Making us vulnerable, they make it difficult to resist the game they're playing -- that we let them play be going along with the 'impact' system (maintained by another private, profit-making company) that determines which journals people submit papers to, and how their Deans judge their influence. The peer review argument also rings rather hollow. First, peer review can also mean insider-club exclusion, and we know that innovative ideas have a tough row to hoe. Second, anyone in academe knows that you can always find someplace to publish your work if you try hard enough (PLoS One is one place). Peer review may once have served as a guard at the quality gate, but those days were long gone decades ago in terms of serious quality control. We think there is no serious evidence that e-journals have lower standards -- and indeed, PLoS One, often the whipping boy for this argument, has published some very fine papers, indeed. And almost anyone who is candid knows that the 'main' journals publish a lot that is weak, sensationalized or over-claiming, and most of the results turn out not to be replicable (as Ionnides said in a paper we've referred to before, published in PLoS Medicine, in fact). So we need not weep for the poor publishers and their role as Guardians of Quality. So, given everything, change is hard, always has uncertainties, and we're all in a tangle that keeps costs higher than they need to be. And those not in science are paying the price for it. They pay for research and expect to reap the benefits. But that is, to many of us, too indirect and inefficient, with too many in the middle skimming of the top, before the research ever sees the light of day. But, it does look as though the push for open access is getting stronger, big money is starting to rally behind it, and a consensus is perhaps beginning to build. One of the founders of PeerJ, Peter Binfield, is quoted in a piece on open access in this week's Nature saying, “We are seeing a Cambrian explosion of experiments with new publishing models. It’s going to be an interesting period for the next few years,” says Binfield. Yes, and social-media and other related ways of communicating science to scientists and the public (including blogs like this!) foreseeably will be a major part of the landscape that professional evaluation in grants, promotions, and other career credits will eventually have to acknowledge. Perhaps as letter writing is becoming obsolete (to the point we may abandon the postal service), so will paper publishing. Some journals, like the very prestigious _Genetics_ have gone totally paperless in recent years. The future is in our future, so we all had better be ready for it! I'm sure knowledge, discovery etc. will speed up with increased open access. Many minds often are better than one in these endeavors. Communication is such a great thing. Right. And junk work will be a part of it, as it is now, and the flurry of chaff will increase. But with searchability and so on, screening for the gems will also be possible....and more diamonds in the rough will be found! To me, the most important thing is grass-roots pressure to make universities and granting agencies somehow recognize other ways of communicating. But that will make it harder for bean-counters to evaluate everyone's 'worth', and since we do need some sort of system for that, we have an additional area where creative thinking is needed. Thanks for the post--I forwarded it on to some colleagues who are trying to get their institution to help kick in some money to pay for open access fees. I have qualms about acting as a peer-reviewer for closed access journals and especially for for-profit closed access journals (see http://octavia.zoology.washington.edu/publications/BergstromAndBergstrom06.pdf for reasons why the non-profit/for-profit difference seems to matter so much). However, I still feel reviewing is a responsibility to the research community and science. When I agree to review for one of these journals, I often make it a point to preface my review with a note to the authors and reviewer that I will be less likely to review for such journals in the future because they are not open access and that I hope the journal can transition to open access and/or authors submit to such journals in the future. As I get busier and asked to write more reviews, I imagine I will follow through on this threat more often. The flip side is that I make it a point to find the time to accept reviewing work from reputable open access journals. Thanks, Dan. This is clearly a transitional time, with more and more people feeling as you do. It will be very interesting to see where we are in even just 5 years time. I agree with Anne about your thoughts. 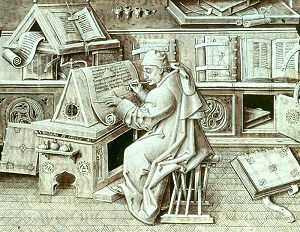 Scrolls and tablets had their day, and Gutenberg has had his. But that may be ending. We're tracking electrons rather than ink now, and unless there are material catastrophes, this is going to accelerate. The problem is that people doing a service need to make a living (salaries, at least, if not 'profits'). So we need a fair way to cover the costs. Free services--like blogs--have support costs, and a refereeing system needs someone to manage it. But the way out of what we have now seems likely to involve real reform in many directions. Open source publication, open refereeing such as by Comments, makes for much better and more dynamic science, unless things become too glutted with varying quality. One major, if not the major, obstacle is that for professional science and scholarship, employers like colleges need to accept online dissemination and discussion as legitimate for career advancement. As before, we'll need ways to evaluate quality, but certainly resting promotions and so on on the basis of traditional publication should be a dying habit. Commercial entrenchment is understandable, but if it's a needless anti-democratic force, or impediment, then it will have to change, or go. After all, we have plenty of precedent. Makers of sailing ships and builders of horse carriages basically disappeared when motorized transport came along. We don't make clay tablets or amphoras for shipping wine any more. The papyrus and pyramid-building industries had to adapt to a changing world, as did fletchers when rifles arrived on the scene. How we adapt is the interesting question.